India's second largest government bank, facing a scam, has not been able to recover from losses in the first quarter of the current financial year. 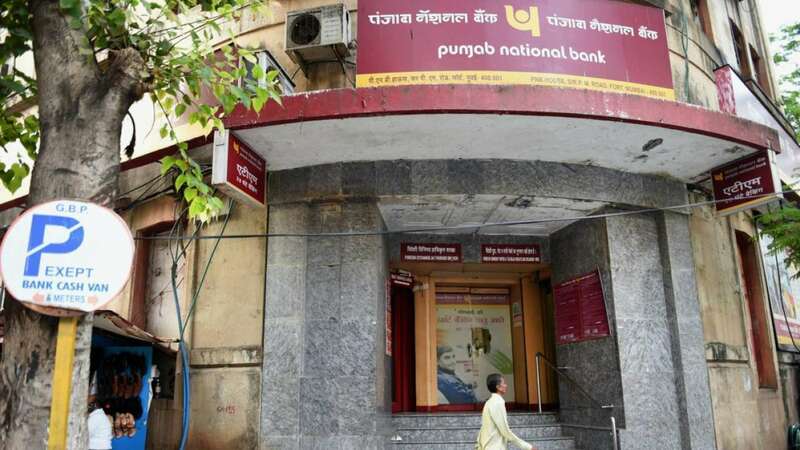 [New Delhi]: Punjab National Bank (PNB), the victim of the country's largest banking scam, has failed to recover from the loss in the first quarter of the current financial year. However, there is a huge reduction in the bank's deficit against the previous quarter. In the first quarter of 2018-19, the second largest government bank of the country has a net loss of Rs 940 crore. It has been stated in the statement issued by the bank that the bank had a net profit of Rs 343 crore in the same quarter last fiscal. Significantly, due to the fraud of Neerav Modi and Mehul Choksi, the bank has lost more than Rs 14,000 crore. Both the accused are currently out of the country, who are preparing to bring back. After the scam came to light, the bank had suffered a loss of Rs 13,417 crore in the last quarter of the last financial year. In the fourth quarter of fiscal year 2017-18, the bank's total debt (NPA) increased by 18.38 per cent, against 12.53 per cent increase in loans stuck in the same quarter in the financial year 2016-17. In the first quarter, the bank's NPA grew from 13.66 percent in the same quarter to 18.26 percent, while the bank provided provision of Rs 4,981 crore during this period. This amount was Rs 2,559 crore in the same quarter last fiscal, against Rs 16,202 crore in the previous quarter. To offset the loss due to the scam, the bank had sold a stake in its subsidiaries, along with the strategy to withdraw from non-core businesses. Under this strategy PNB Credit Rating Agency has sold its entire stake in ICRA for Rs 108.60 crore. At the same time, the bank is preparing to sell its stake in PNB Housing Finance, Crisil and Bombay Stock Exchange (BSE). Housing Finance has a total of 32.79 percent stake in PNB in this company whose sale will fetch around Rs 6,500 crore. PNB Housing was listed in the market in October 2016 and the company had managed to raise Rs 3,000 crore from the market at the issue price of 775 rupees per share. In order to reduce the pressure of NPAs on other banks' balance sheets with PNB, the central government had announced the reappropriation program in October last year, under which a total of 2.11 lakh crore rupees would be given to public sector banks. The government's attempt is to provide regulatory capital to the public sector banks. Under the same strategy, the banks have recently been given capital of Rs 11,336 crore, with the highest amount of Rs 2,816 crore PNB received. The remaining Rs 53,664 crore will be given to the banks in the coming months of the financial year. Significantly, the proposed recapitalization system has been divided into three parts. In the total amount, Rs 18,000 crore will be given from the budget, Rs 58,000 crore will be raised as equity from the market and Rs 1.35 lakh crore will be made available by the government as recapitalization bonds.